It was kind of kismet that brought me to this book. I hadn't planned on reading it. 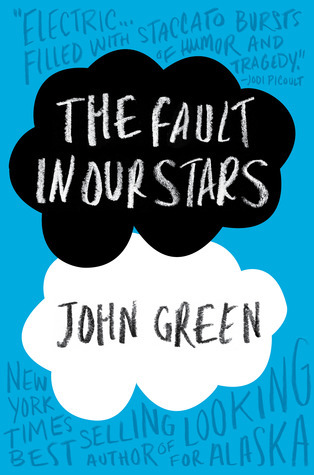 The cover didn't really inspire me (and still isn't a favorite by any means) and I'm not a longtime fan of John Green's. I don't know what Nerdfighteria is or a hanklerfish or any of those inside jokes. I read Will Grayson, Will Grayson and just thought it was ok (sorry, heresy, I know). But I just so happened to think of it while grocery shopping and walking through the magazines. Randomly, the grocery store not only had the book, but had one of the signed copies that John Green apparently spent days working on. Since it was signed and since it was random that I thought of it and it was there, I bought it. Kismet! I have to say, I was really amazed by the writing in this one. I found it truly superior to much YA fiction. There were a few issues for me with believability, however. I just had a hard time believing how witty and fast the dialogue moved among the teenagers, especially during some very emotional moments. 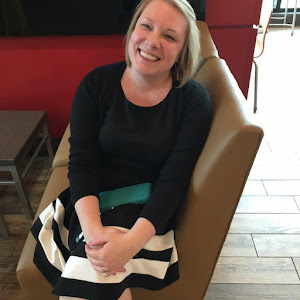 It's kind of like Gilmore Girls - I love the show and think the writing, especially the dialogue, is amazing, but I don't believe that anyone can be that "on" all the time. Same here. Despite that, I am seriously impressed. I couldn't put it down. I have several of John Green's other books that I've not read yet and this made me want to devour them all immediately. Despite the heavy nature of the book (I won't summarize here because you've probably already read a million summaries, but check out the Goodreads page if you've somehow missed them), or maybe because of the heavy nature, the book is compulsively readable. I flew through it and loved every minute of the experience. It's touching, witty, hilarious, and will make you cry your eyes out. You must read this book. Seriously. I recommend it to everyone, but make sure you've got tissues handy and are in a place where you can ugly cry and laugh out loud, sometimes at the same time. I read this last month and loved it! I'm sure it will be one my favorites for 2012. The thing I liked most was the fact that I found myself laughing right through my tears. Glad you and the book were able to find each other! I haven't read any John Green books yet, but I will definitely read this one! Great review! I'm SO glad you read this! It was a fabulous book and it has been the first one to make me laugh and cry at the same time. I'm so happy you read this and enjoyed it! Definitely up there with some of my favorite books of all time! I started Fault at 4 this afternoon. I read while I cooked/ate/stacked dishes. I tried to stop but finally gave up and sat and read all evening. Any weaknesses are SO overwhelming outweighed by the wonderful characters, the smart dialogue, and the heart of this book. It was funny and heart-breaking with good doses of truth. So glad I read it. Great recommendation. I just finished this book. it was beautiful, amazing, wonderful, laugh-out-loud hilarious, sobbing-into-a-pillow sad, and just passed harry potter as my favorite book of all time. throughout the whole book i had this aching in my gut like i was being punched repeatedly. there were times that i was crying from laughter, and there were times i was sobbing from sadness. 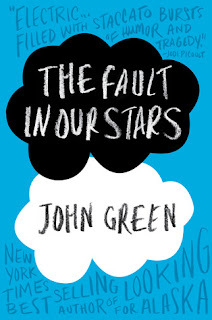 this was john green's best book by far and will be read and analyzed in english classes for years to come.